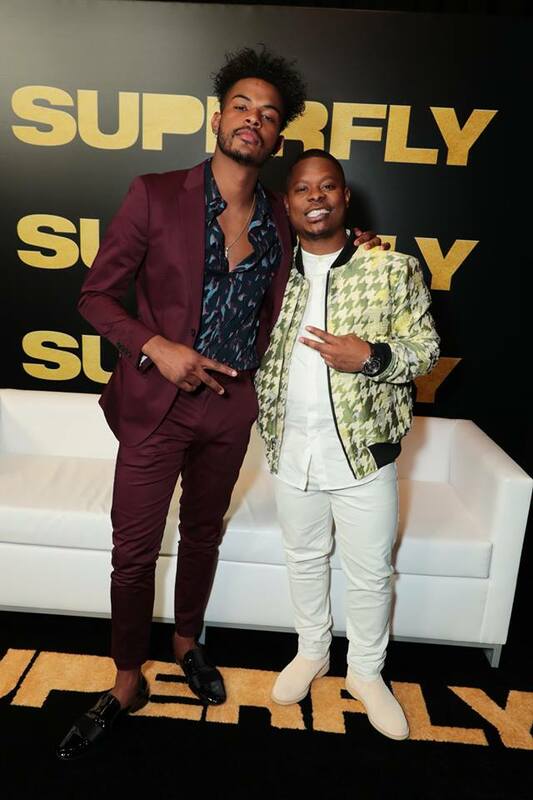 Trevor Jackson and Jason Mitchell star in the remake "Superfly." HOLLYWOOD—I have never been a fan of Blaxploitation cinema, and before you start with the spars I’m African-American. I was first introduced to the genre in my film studies courses as an undergraduate, and the first thing that popped into my head was the fact that they seemed to perpetuate stereotypes in the African-American community. So when I heard the buzz about the movie “Superfly” being remade it wasn’t something on my to-do list. Let me be crystal clear, I’ve never seen the original which starred Ron O’Neil, and I’m happy that I didn’t so I was able to enter the theater with no expectations. The 2018 remake of “Superfly” is not stellar, it’s not great, but it has a slow burn that ratchets up as we near the finish line. I was very hesitant about this movie as it seemed to take a good 45-50 minutes for the movie to gain its footing, but once the story really begins to take shape I was thoroughly entertained. At the core of the narrative is Priest portrayed by Trevor Jackson. The actor may not be familiar to many, but he stars on the Free Form hit “Grown-ish” co-starring along Yara Shahidi. Jackson isn’t the first choice that comes to mind when I’m thinking of a suave drug dealer, who also happens to be a ladies man. Not to mention, he has the credibility of the streets where he instills fear in those who may question his authority. I would argue the first 40 minutes; I was not buying what Jackson was selling. However, it clearly became evident as the shell of the character was cracked; I became more open to what was being showcased by the actor. There was range; it just took a bit longer than I expected for the script to get to that point. Jason Mitchell is hilarious in another supporting role as Eddie, Priest’s close friend and confidant. The guy has impeccable comedic timing and just shines on the screen. After his breakout role in “Straight Outta Compton,” it is time for Mitchell to nab that leading role to really showcase all his talents. The narrative is not convoluted or too complicated to follow. Priest wants to get out of the drug game, but he discovers trying to escape such a profitable business is dangerous and deadly. The movie has a strong supporting cast in Michael K. Williams, Jennifer Morrison, Esai Morales and Lex Scott Davis. I found myself slightly caught off guard with the film’s attempt to showcase not only the good, but the bad and downright ugliness that comes with being enthralled in the streets and the drug game. I mean the issue of police brutality and corruption came out of left-field for me, but it’s prominent when you consider that it is a prevalent issue in American culture. There are so many who will be baffled by this inclusion, but for anyone who is Black in America, especially those who are African-American males, any encounter with the police can be frightening as hell. The movie addresses that epidemic in a way where it stirs a few emotions. The biggest issue “Superfly” faces is its pacing. It starts off very slow, but once it reaches that point where interesting things begin to take place, the movie grabs the viewer’s attention and refuses to let it go. There are some cool fashions, plenty of action, and a picture of life painted for those who have no idea how wicked the drug world can be. Is it fictional? No, but let’s be clear we know some of what is being depicted isn’t a far cry from reality. If you enter the theater with no expectation for “Superfly” you’ll be entertained, but for those who have seen the original, there aren’t too many fractures from the original blueprint. The only difference being new faces and a few adjustments in the narrative along the way.